1,000th peal together: 1 & 3. A birthday compliment today to Liz Harrison of Holywell. Last updated Thursday, 17 January 2019 at 20:17:52. First submitted Thursday, 17 January 2019 at 14:02:37 by Paul M Mason. 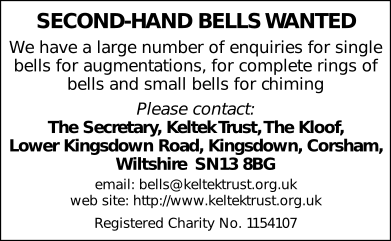 Sent for publication in The Ringing World on Sunday, 20 January 2019 at 18:35:55, and printed in issue 5624, page 133. This performance has been viewed 564 times.